Yakzz: Turkey Hill Yaks is a farm located in Cody, Wyoming owned by Mike Swartz. Welcome to Turkey Hill Ranch, home of prize-winning full-blooded yaks for show, meat, and hobby. We proudly sell adult breeder yaks, bottle babies, premium grass-fed yak meat, yak fiber and yak yarn. 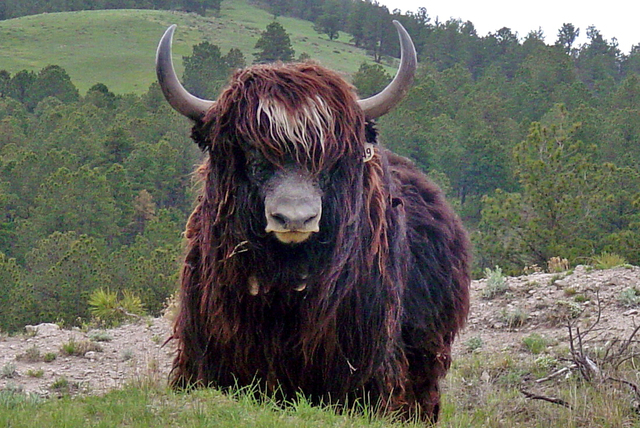 Our show yaks compete successfully because of their size, fiber, guard hair length, color, and disposition. Cathy and I personally care for our yaks, which sometimes includes bottle-feeding and halter training. Because of our constant supervision and care, Turkey Hill Ranch can meet your needs for starting a small herd. Cathy and I are proud of our passion for breeding super-wooly yaks. The core of our super wooly genetic collection includes Queen Allante and our herd bull SBR M049, Chewbacca, son of Dreadlock. These two yaks represent two of the most recognized super wooly bloodlines in the United States today. You really must come and see this for yourself. Our record at the National Western Stock Show supports our belief in superior breeding. If you are looking to expand your herd, start a herd or just own one yak as a pet, Turkey Hill understands your desires. 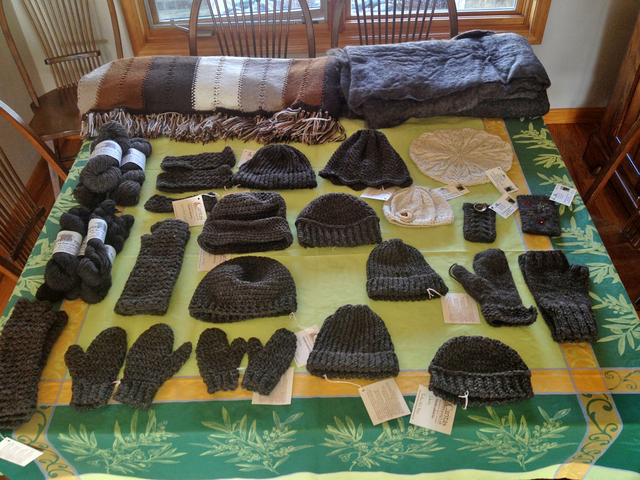 In addition to our yaks for sale, Cathy and I also sell yak meat, yak hides, yak jerky, yak yarn and yak fiber. 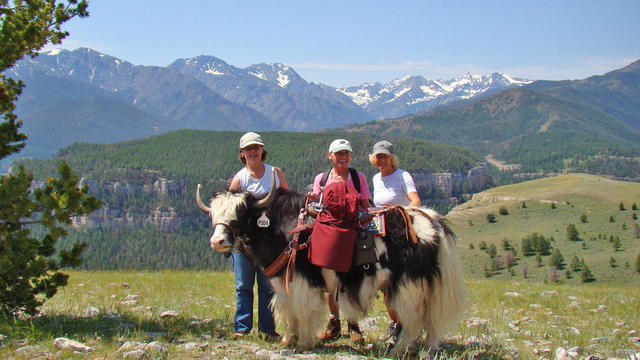 Enjoy looking at our ranch on this site, or better yet come see our yaks and us. Turkey Hill Ranch is located between Cody and Powell, Wyoming. 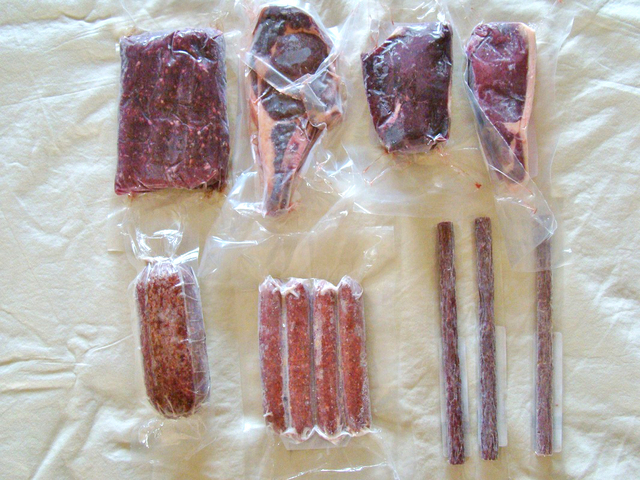 We sell Yak breeding stock, all natural grass fed yak meat and yak fiber products.